Conveniently located just one mile from the world-famous Las Vegas Strip and minutes from the downtown area, Flower Festival is easily one of the most popular flower shops in Las Vegas for beautiful bouquets and arrangements. With prices that will seem cheap when compared to the costly floral designs of the big casinos and wedding chapels, Flower Festival still manages to maintain top-quality stems for all of their clients. Famous for having the best roses in town, this top florist can take care of all your floral needs at prices that won't destroy your budget. 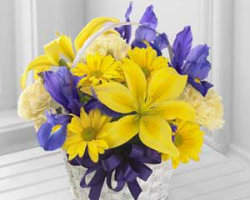 Enchanted Florist is the premier source for fresh flowers in Las Vegas, NV. This top florist is known for providing the best fresh cut stems in the valley at prices that are cheap when compared to other flower shops in Las Vegas. One look at their custom floral designs and fancy bouquets will tell you all you need to know about their ability to create the wedding flowers of your dreams. With Enchanted Florist, both residents of Las Vegas and visitors to the area will be impressed with the service and quality at prices that can't be beat. 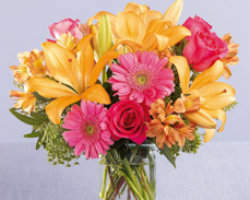 We Luv Flowers is one of the premiere Las Vegas flower delivery services. They feature crisp and modern arrangements and bouquets that are a far cry from the overly fancy traditional wedding flowers that now look tired and dated. With skilled professionals working hard to create exactly the right details for your wedding, event or special occasion, you can rest easy knowing that you will only be delivered top-of-the-line flowers that are fresh and extraordinary. 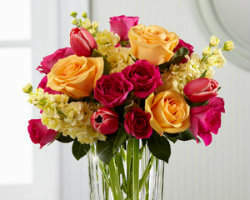 From elegant roses to exotic Spanish flowers, We Luv Flowers will help you find the blooms that best represent your style. Antony's Flowers can provide you with gorgeous wedding flowers or a wide range of bouquets and arrangements for any occasion. 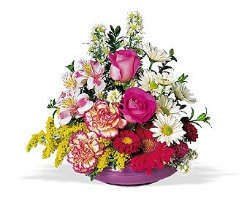 This business is known for their fast and professional flowers delivery in Las Vegas, Nevada. They have been catering to weddings and parties all throughout the valley for years and all of this experience has given Antony's the opportunity to establish a solid reputation as a reliable source for the freshest blooms in town at prices that are downright cheap. With their affordable rates and top-quality stems, clients of Antony's always come out smelling like a rose. Vegas Flowers can bring you the most beautiful and exotic fresh-cut flowers in elaborate and fancy arrangements for any occasion. Anyone searching for fast and reliable flowers delivery in Las Vegas can count on the pros at this well-known floral shop. Their unique creations include gorgeous stems from all over the globe, from Dutch tulips to Spanish flowers to blooms from South America. When you book your floral arrangements with Vegas Flowers, you can relax with the knowledge that your flowers will be delivered fresh and on-time, every time. 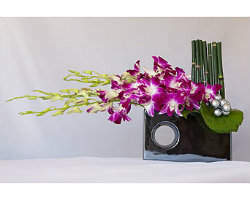 Gaia Flowers Gift Art delivers flowers in Las Vegas, Nevada for every occasion, from weddings to casual dinner parties. Their experience providing beautiful loose stems and custom bouquets has made them one of the most trusted sources for Las Vegas flowers and they are well-known throughout the area as a dependable and highly professional flower and gift shop. Let their trained staff guide you through all of the steps to arranging for your wedding flowers or floral details for any occasion at all. 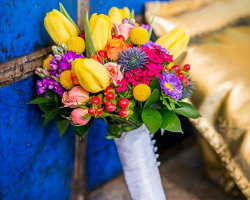 With Gaia on your side, you'll receive only the best bouquets for your event.